MP Sachin Tendulkar Wants To Help Sports In Schools ~ " Century Fox Post "
Four months after entering Rajya Sabha, Sachin Tendulkar has written his first letter as MP on a matter of national interest. He has expressed concern over the neglect of sports in India’s educational institutions and offered to help inculcate a sporting culture among children and the youth. 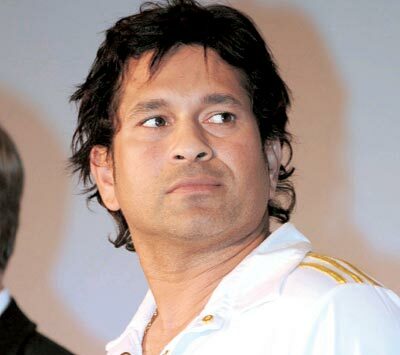 Sachin wrote to Human Resource Development Minister Kapil Sibal last week, proposing ways to integrate sports in the education system, and expressing a desire to work with the government on the project. The HRD ministry has invited him to make a detailed presentation, following which modalities can be worked out. “We welcome Sachin Tendulkar’s proposal and I have already written to him inviting him for a presentation so that the details can be talked through. Once that is done we will ask both CBSE and NCERT to look into how sports can be made an integral part of the school curriculum”, HRD Minister Kapil Sibal told The Indian Express.